A little more than a week ago, I picked a recipe that best described Autumn to me. And it seems, after a cold day out kicking fallen leaves, the one thing I crave is a hot bowl of soup. Something uncomplicated, healthy and wholesome. 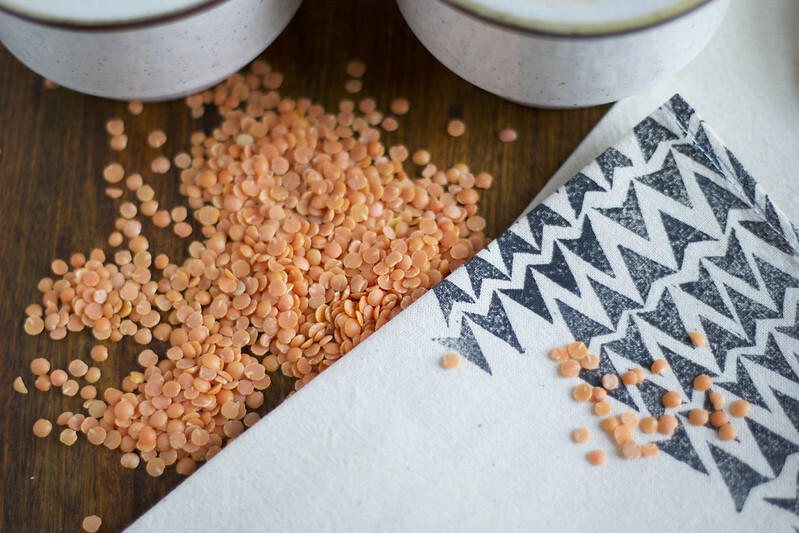 Red lentils are incredibly robust and makes soup taste out of this world. The recipe is featured on Food& as well as a little Autumn poem. Food& is a new online platform that features "talented individuals, creatives, cooks and makers to collaborate and share their skills and stories with the world." And I can't get enough of it! In a large pan over a medium heat, soften garlic, shallots and leek with a drizzle of olive oil. Add the lentils, pumpkin and cinnamon stick, stir until coated. Add water and tomatoes, simmer until lentils have broken down into a rough pulp. 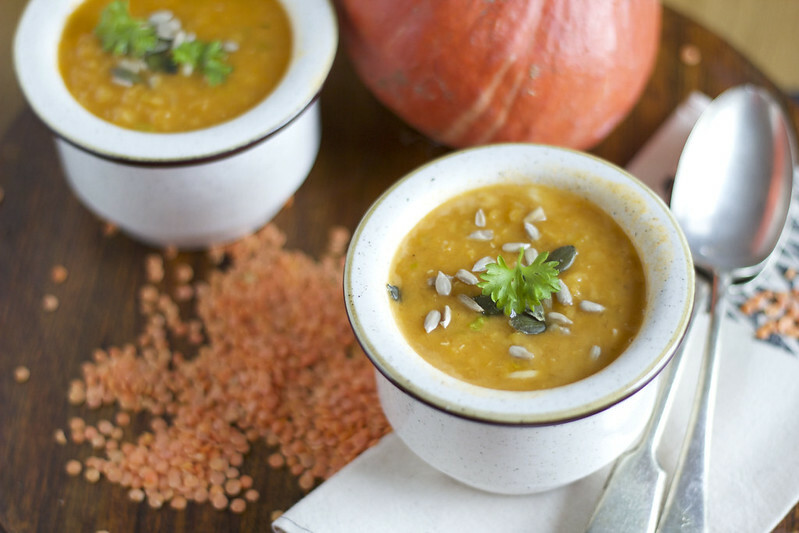 Place two ladles of lentils, whole tomatoes and pumpkin pieces in a cup and blitz until smooth. Return to pot and simmer for a further 10 minutes. Add chopped parsley once the pot was been switched off. Season and drizzle with extra virgin olive oil. 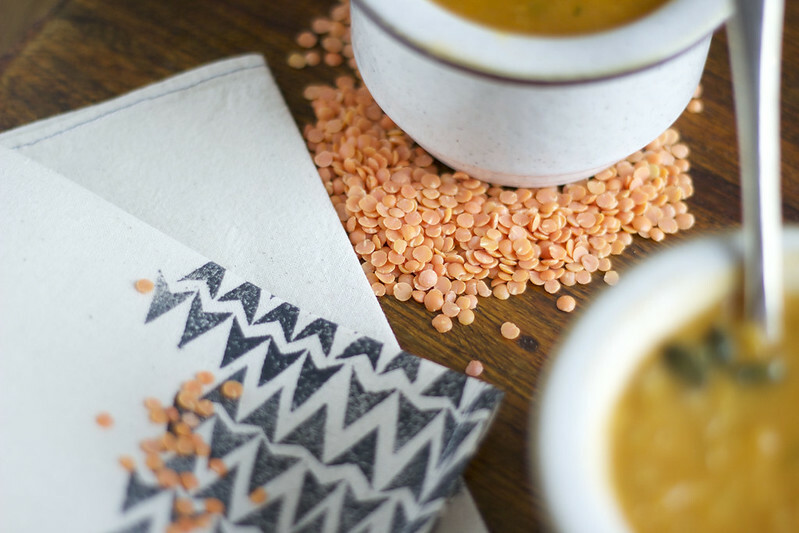 Serve hot with a sprinkling of pumpkin seeds.